We turned to the former Miss Universe for motherly advice. We got that and more. 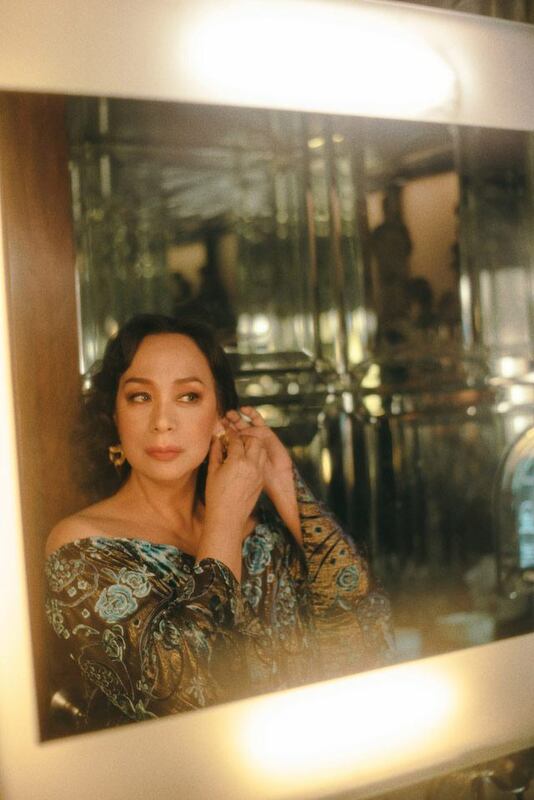 Legendary beauty queen, respected performer, and two-year-old Instagram user Gloria Diaz shakes her head in disbelief at how her eldest daughter Belle Daza-Semblat took over her Instagam and typed “No filter since 1969” on her IG profile description without her approval. The headshaking is a sign of surrender most moms show when the topic is technology and their children obviously demonstrate the upper hand. But that was the only time Gloria—let’s call her Tita Gloria from here on—seemed unable to demonstrate a lack of certainty. 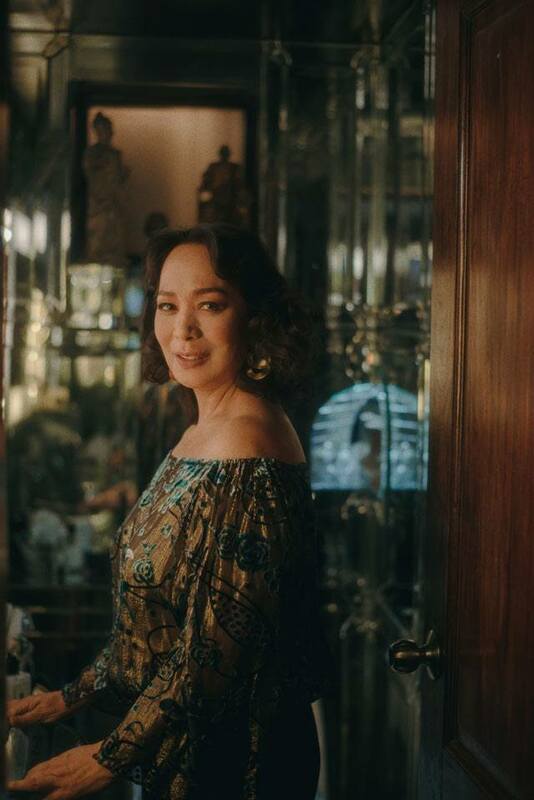 As an individual, not only has her POV been unfiltered for decades running, she has shown herself to be well-composed—from as early as when she made it to public consciousness as an 18-year-old Miss Universe, the Philippines’ first, in 1969. 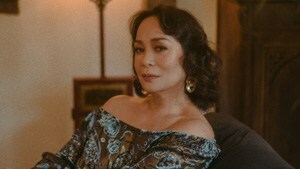 As she was getting dolled up at the den of her lovely home, a few steps away from a wall filled with magazine covers, newspaper clippings, advertising campaigns, and off-duty photos of her and daughters Belle and Ava, Tita Gloria was game to talk to us about practically anything under the sun. What ensued was 30 minutes of oohs, ahhs, and LOLs—and a lot of learning one could only from a cool mom who does not shy away from typically off-limits topics such as aging, financial debt, and stingy suitors. Do you remember a specific time in your life when you realized you had the gift of gab? "I think only when I was given the chance. In the beginning naman—we were a family of 12, right?—you really don't talk that much. For a certain time when I was in school, I was always being asked my opinion. They appreciate that eh, when you’re in school na ikaw ang pinaka-maboka dun 'di ba, always volunteering to give your uncalled-for opinion." And all this happened while you were an intern at a convent? "A result of probably not being too shy and all the time being asked to be the one in plays or being the one to speak for a group of friends. 'Ikaw na bahala. You tell them,' I was always told, but without even realizing you're taking over. That was how I got into a lot of trouble." You grew up with a lot of sisters. Are they as vocal as you? "Maybe majority of them. 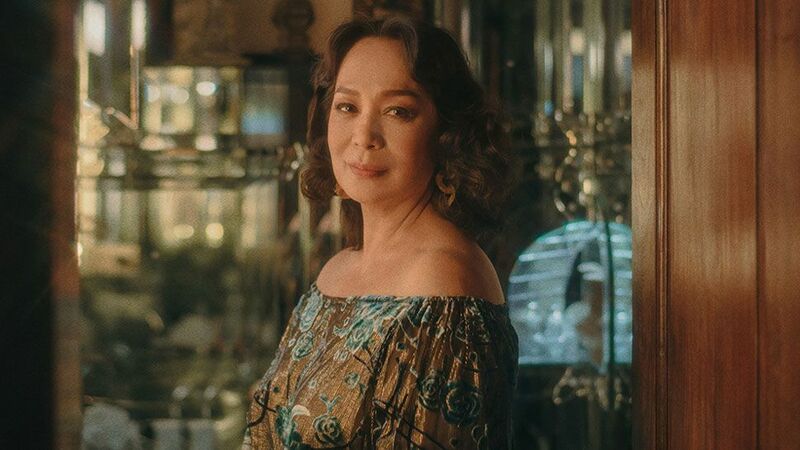 But in my family kasi what happened is some are more madaldal and more—the word is not confident—maybe, overconfident that talagang they gave their opinion. The others are quieter and more secretive and you really did not know their inner thoughts. I had sisters like that: You didn't realize they didn't agree with you and all that, that's why they didn't say anything but didn’t have the guts to say they don’t agree." Were your parents supportive of the way you behaved? "My mother is quite opinionated. She was also not the regular mother, had their own opinion. Di pa uso yun that time. I think I got it from her." When was the last time you got in trouble for articulating how you feel? "Many times! Constantly! Every other day! So I try to mellow, especially now that I have a daughter who is very—actually Belle's quite conservative in terms of opinions, because she gets freaked out if social media doesn't know of her sense of humor so she's very scared. I said, 'You know Belle, I'm already this age. I'm too old for people to bash me, or for me to change. More than myself, you should just take care of saying the right thing, because me parang people just take it for granted na I would say what I think is true. I never tell lies; I only tell what's true. I may be wrong pero in my mind I say what's true." 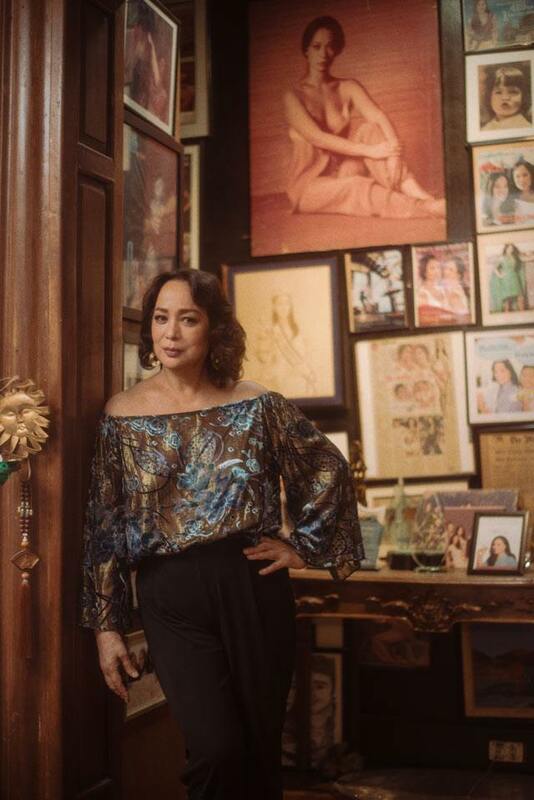 Did you ever feel like you were born in the wrong era or the wrong country just because you’re not in the same mold as a lot of Filipina women? "No. I think I was part of the 10% who said what they thought and did what they felt. That's when I was younger but now I feel I'm more conservative. Once in a while, I'd come up with very unpredictable things that all of a sudden I realize I should not have said, because my daughters will get mad. Because Belle always gets mad and Ava says, 'Mom why did you say that,' and I say, 'Belle, but it's true.' But it's too late; I already said it." You mentioned something about mellowing earlier. You think you’ve mellowed at this point? "Very much, very much. I’ve super mellowed. I’m trying even to mellow more but I don’t know, sometimes [the words I say] just come out." Have you made more friends or enemies as a result of having "No filter since 1969?" "More friends, I think. You can see naman I don’t get political, I don’t bash anybody, I’m just talking about myself. I think I've taken life lighter. I take things funnier. I can make fun of myself, hindi yan big deal sa akin. That's what I told Belle, 'The most important is don’t take yourself so seriously. Beauty is not something na matter of life and death. It will come, you have to develop other stuff especially now you have a baby. You don’t take yourself too seriously. Just take it lightly.' And that's the way I feel with my Instagram, cool lang—you are not a perfect person. And if some people don’t like you, okay lang, diba?" You are a mother and an aunt to many of what we would call "It girls." What would you advise the younger Diaz girls about life and love and working? "It doesn’t last forever. Enjoy while you can. You must save. You don’t have to use all the name brands in the world. In fact, Belle, she remembers very well: When she first wanted to buy her first branded bag, I said, 'Belle, when you are young, you can use a plastic bag or a department store-bought bag and you’ll look good.' When you have a lot of money, yes, buy one, buy two, but don’t be a slave. Don’t be a slave to all those name brands when you are young. Make sure you save. What if you don’t have money to pay Meralco, di ba? Be simple, be true to yourself." How do you keep yourself sharp and updated? "I still work. I do things, I go out every day. I listen to people, I look at other people’s IG and stuff, so enjoy ako. And I’m just very happy at this age, I still have jobs. It's something that I always tell Belle, 'Every job you do is a real privilege.' Kasi there’s so many, including myself, at this age na, my God, they’re not doing anything. Anong gagawin ko dito, kakain ng kakain? Cooking and cooking? Diba?" Now that Belle is a mom herself, what was the last thing that you told her or shared to her about being a mother? "I just texted her yesterday. I said, 'Belle, you know I don’t understand when I look at your baby—I feel like crying. I’m so excited about him. Maybe I love him more than I ever loved you.' Because you cannot understand talaga eh. I mean, how can you love this person? I then said, 'Maybe I love him more than you, or more than I ever loved you.' And then she said, 'You’re a psycho, mom.' Cause he's so cute." You’re a doting lola, are you? 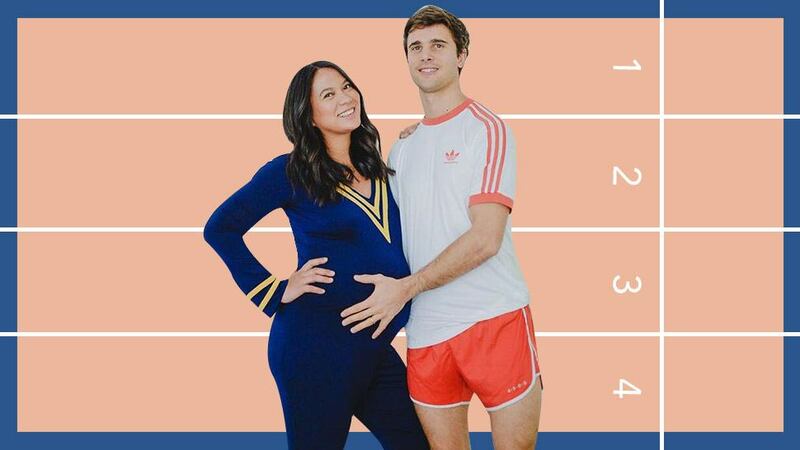 "He's supposed to call me Mumshie. Mumshie lang. Wag na yung lola. Lola has a negative connotation. White hair, no teeth, diba?" How are you as a mother-in-law? "He is a fantastic father. He gives the baby a bath every day, and the baby is so calm around him. And Belle is a better mother than me. Yeah, she’s so good with her baby. But I told her she must have a second one right away." "Para, you know, matapos na. Have three or four [kids]." "Yeah, because she says, 'I want to work.' You know, she wants to [go back to] work." A lot of people know you as the mom of Belle, but even before you were Belle's mom you were your own woman, and a lot of younger Preview girls need to know that. If you had to pick some movies of yours that our readers should watch, what would you suggest? "Of course, my first movie Pinakamagandang Hayop sa Balat ng Lupa. Then, Ganito Kami Noon, Paano Kayo Ngayon? and maybe the last one I just did, which was an indie, 'yung Si Chedeng at Si Apple. And then maybe throw in the Danny Zialcita comedies I've done." Which artists do you listen to on Spotify? "Bruno Mars, The Beatles, Bee Gees, and ABBA." How do you keep fit and active? "I do a mixture: I play tennis, I go to the gym, I do TRX, I do weights. In fact, I want to do other things. Somebody was telling me to go back to Pilates but it’s so difficult nowadays when you do Pilates. But remember, you cannot lose weight [exercising]. That’s the thing I’ve learned. You cannot lose weight from exercise. It’s in what you eat! Quality over quantity. It’s really the food." "You need to go to a good doctor who will help you especially at this age. I always use sunblock—every single day. Never sleep with makeup on. Never! And drink lots of water. Ah, I also use Vitamin C serum every single day. To me that’s the best. But when you age— I’m 67 now, one day I'll be 70. I’ll have wrinkles but what can I do? It’s okay!" Could you name designers—dead or living—that more girls should know about and whose works they should wear? "The late Joe Salazar, of course. Number one yan. Ronaldo Arnaldo, too. And Ito Curata. Oh, and Rhett Eala. I've seen his clothes and I like him." Name the three places a woman must visit before she turns 30. "Italy, France, and Japan. But 'visit' is not the word; she should stay long." "At least for a month, like an immersion." 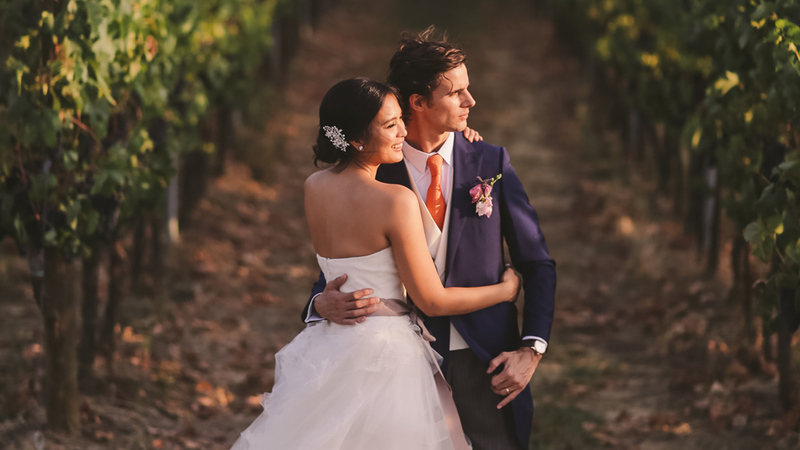 What are three qualities that a woman should look for in a partner? "Two, yes you must have a good-looking husband but that’s not just it. Together with good-looking, he must love you, he must be kind to you, he must respect you, he must prioritize you. "And the third one, I think he must accept you for what you are. If you’re an artista, he must respect that you are an artista. 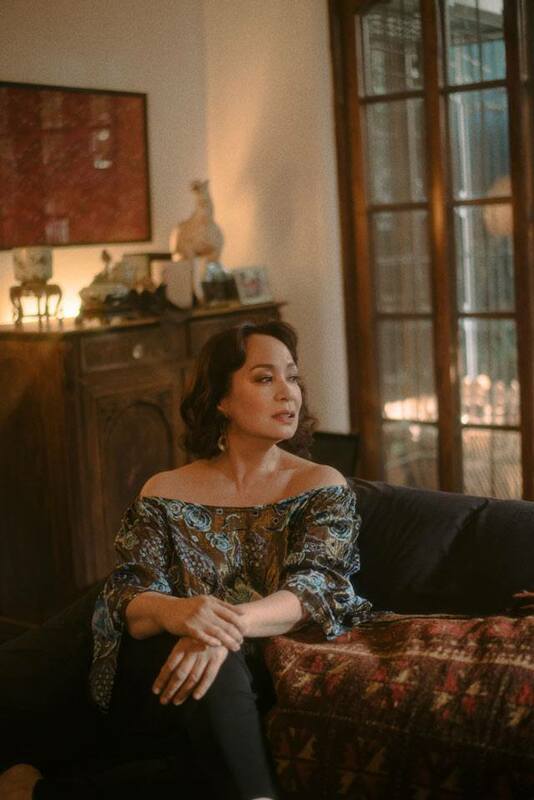 Kasi there [are] some sosyal guys, "Ay artista yan di naman nakakaintindi yan." Seriously, he must understand and he must respect what you do." What tips would you offer a girl who has insecurities? "Well she has to really sit down and really reevaluate herself. And I’m not talking about going to the doctor to redo themselves. Okay, you can be pango but have nice eyes. Maybe you don’t find your face beautiful but you can articulate well. Or you’re not tall, but maybe you [have a] very nice body. "So you really have to see where you can shine, instead of focusing on [being] pango, focusing on [being] short, diba? "Sometimes I see someone with, let’s say, [bad skin], I always tell her to go to this [doctor] or buy something at the drugstore because many of them don’t know you can do that pala. They have been focusing on [their imperfections] when they can cover it up naman. When they do, they get shocked at how better they can look. "I always feel that nobody is ugly and nobody is perfect either. There is always a way to fix it. Now pa? My god, although that costs money." Do you mean to say they should work hard for the money? "It’s very easy to say 'work hard' but sometimes they don’t have the capacity, di ba?" Should they live within their means then? "Definitely! The worst aging thing is to have utang! Pwede na nga may kaaway, just don’t have utang!"